Authors get their ideas in a variety of ways. For me, it’s mainly from dreams–very cinematic dreams–that stay in my head long after I’ve awakened. Mostly these night flicks are nothing more than a collection of cryptic and often unrelated scenes that need to simmer on the back burner while my muse (when she’s not vacationing on a sunny beach somewhere) helps to add seasoning and substance to the mix. I’ve always loved history. Way back in junior high, my mind would wander from dates, battles and treaties to musings on what it might have been like to live in another time. Family vacations always included visits to Civil War or Revolutionary War battle sites, tours of colonial houses and restored villages, which, even these many years later, serve as inspiration. Born in New York City, I live in central Connecticut with a long-time husband, a grown-up daughter and two dogs. We also have a grown-up son and daughter-in-law, who recently presented us with our first grandson. When not writing I enjoy cooking, photography, reading, music, movies, and long walks with the pups. 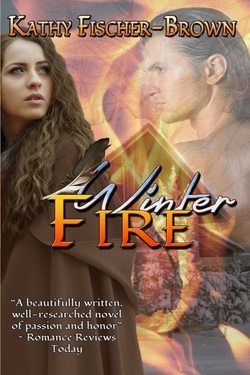 Set during the American Revolution, "Winter Fire" is a former Golden Heart Finalist. Forced to confront sordid truths, secrets and lies, the headstrong young woman begins to learn that, like generations of Darvey women ruled by their hearts, she is destined to follow in their footsteps. 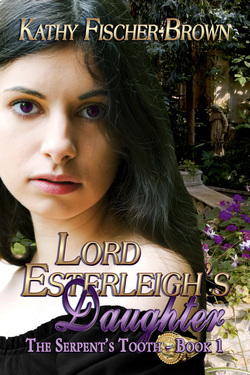 Set against the backdrop of 18th century England, "Lord Esterleigh’s Daughter" is the first book in “The Serpent’s Tooth” trilogy, which follows Anne from the rural countryside, to London society and into the center of the American Revolution. 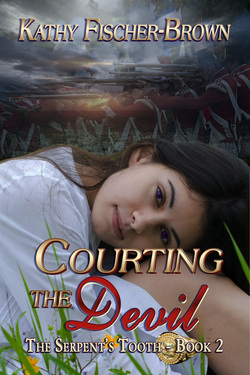 Set against the backdrop of the American Revolution, "Courting the Devil" is the second book in “The Serpent’s Tooth” trilogy, which follows Anne from her childhood in the rural English countryside, to London society, and into the center of the American Revolution. In the third and final book of "The Serpent's Tooth" trilogy, Anne Marlowe is torn between her love for her husband and the need of her father’s forgiveness. As the American forces follow up on their tide-turning victories at Stillwater and Bemis Farm, Peter is drawn inextricably deeper into the shadowy network of espionage that could cost them both their lives. Is his commitment to the Rebel cause stronger than his hard-won love for Anne? Will her sacrifice tear them apart again...this time forever? Or will they find the peace and happiness they both seek in a new beginning? 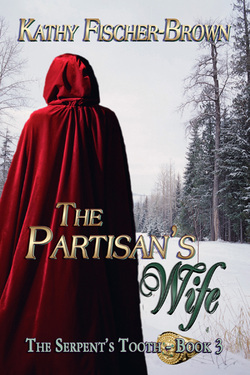 "The Partisan’s Wife" follows Anne and Peter through the war torn landscape of Revolutionary War America, from the Battle of Saratoga to British-occupied New York and Philadelphia, and beyond.